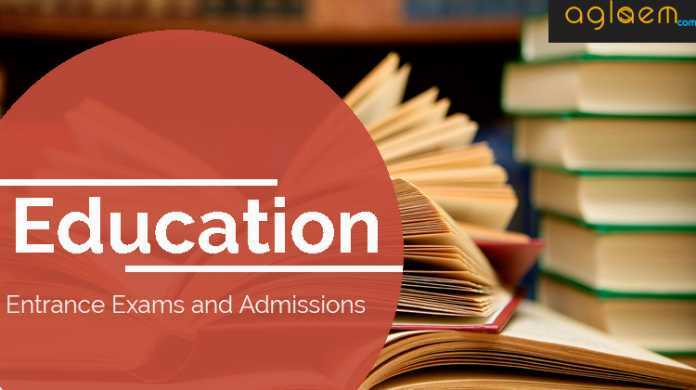 The government of Maharashtra, State Common Entrance Test Cell, The Competent Authority is going to conduct CET (MAH B.P.Ed / M.P.Ed CET 2019) and Field Test for admission to the Bachelor and Master of Education courses for the academic year 2019 – 2020. Candidates can check the complete information of DHE Pune B.P.Ed / M.P.Ed CET 2019 application process, eligibility criteria and other important information through this page below. 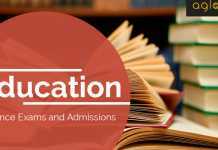 Latest: Pune B.P.Ed / M.P.Ed CET 2019 application form has been released. Eligible candidates can apply online from the link given below. The Online Applications is now issued for CET for admissions to the First year of Two year Full-Time Regular Courses in Bachelor of Physical VIZ. B.P.Ed. and Masters in Physical Education VIZ. M.P.Ed in the Government, University Managed, and Unaided Institutes in the Maharashtra State. Schedule for DHE Pune B.P.Ed / M.P.Ed CET 2019 is given below. Before applying online, Candidates should go through the application procedure which is available below and check for Eligibility criteria. Scan their photograph and signature ensuring that both the photograph and signature adhere to the required specifications as given under Guideline for photograph & signature scan and upload. Have a valid e-mail ID and mobile no., which should be kept active till the completion of this admission Process. In order to appear for MAH B.P.Ed / M.P.Ed. CET 2019, the candidates are required to apply Online as per the detailed procedure/guidelines given below. Applicants to visit DHE’s website http://www.dhepune.gov.in and open the given link. For filling the Online Application Form, they should click on the option “APPLY ONLINE” which will open a new screen. To register application, choose the tab “Click here for New Registration” and enter Name, Contact details, and E-mail ID. A provisional Registration Number and Password will be generated by the system and displayed on the screen. Applicant should note down the Provisional Registration Number and Password in their notebook and preserve it. An Email and SMS indicating the Provisional Registration Number and Password will also be sent on the Mobile No given. In case the applicant is unable to complete the application form in one go, he/she can save the data already entered by choosing “SAVE AND NEXT” tab. Prior to submission of the online application, applicants are advised to use the “SAVE AND NEXT” facility to verify the details in the online application form and modify the same if required. Applicants are advised to carefully fill and verify the details filled in the online application themselves as no change will be possible/ entertained after clicking the FINAL SUBMIT BUTTON. The Name of the applicant or his/her Father/Husband etc. should be spelled correctly in the application as it appears in the SSC/HSC/Graduation Certificates/ Mark sheets. Any change/ alteration found may disqualify the candidature. Applicants should Validate their filled in details and Save their filled in application by clicking the ‘Validate Your Details’ and ‘Save & Next’ button. Applicants can proceed to upload Photo & Signature as per the specifications are given in the Guidelines for Scanning and Upload of Photograph and Signature. Dimension 200 x 230 pixels is preferred. Dimensions 140 x 60 pixels is preferred. Applicants can proceed to fill other details of the Application Form. Click on the Preview Tab to preview and verify the entire application form before FINAL SUBMISSION. Modify details, if required, and click on ‘FINAL SUBMIT ONLY’ after verifying and ensuring that the photograph, signature uploaded and other details filled by you are correct. The candidate should be an Indian citizen and should possess following academic eligibility criteria. The candidate belonging to NRI, PIO, OCI and Foreign National Students type should fulfill following criteria but are exempted from CET and Field Test. The must only apply for CAP rounds. Candidates who are appearing for the Qualifying Examination in the academic year 2018-2019 are also eligible to apply for CET / Entrance Examination. Such candidates will become eligible for admission only if they produce Marks Memo/ Degree Certificate of the Qualifying Examination and fulfill the eligibility criteria mentioned above while filling in the Admission Form in the Centralized Admission Process (CAP) after qualifying the M.P.Ed. CET Examination 2019. All candidates including backward class candidates having Degree / Post Graduate Degree from Out of Maharashtra Universities will be considered as Open Category candidates. Aggregate marks mean the Grand Total of marks obtained by the candidate at the Degree on which the Class is awarded by the University. In case the candidates are awarded Grades/CGPA instead of marks, the conversion of Grade/s, CGPA to percentage of Marks would be based on the Formula/Procedure certified by the Board/ University/ Institution from where the candidate has obtained the Bachelor‟s Degree The candidate will have to bring the necessary proof to that effect from the University/ Institution. The percentage of marks shall be calculated by rounding off to two places after the decimal. The candidate belonging to SC/ST, DT/VJ, NT (A), NT (B), NT(C), NT(D), OBC and SBC categories should produce “Caste Certificate” issued by the Competent Authority and the candidates belonging to ST category should submit “Tribe Validity Certificate” issued by the Scrutiny Committee of Tribal Department along with Caste certificate. Candidates belonging to DT/VJ, NT (A), NT (B), NT(C), NT(D), OBC and SBC should submit Valid Non-Creamy Layer Certificate as applicable at the time of verification of Documents/Admission. in the Academic Year 2019-2020. The age will be calculated as on 1/07/2019. Candidates who are appearing for the Qualifying Examination in the academic year 2018-2019 are also eligible to apply for CET/ Entrance Examination. 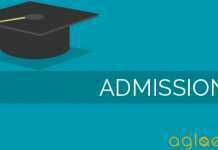 Such candidates will become eligible for admission only if they produce Marks Memo/ Degree Certificate of the Qualifying Examination and fulfill the eligibility criteria mentioned above while filling in the Admission Form in the Centralized Admission Process (CAP) after qualifying the B.P.Ed. CET Examination 2019. In case the candidates are awarded Grades/CGPA instead of marks, the conversion of Grade/s, CGPA to percentage of Marks would be based on the Formula/Procedure certified by the Board/ University/ Institution from where the candidate has obtained the Bachelor’s Degree The candidate will have to bring the necessary proof to that effect from the University/ Institution. Online exam call letter will be available for DHE Pune B.P.Ed Cet 2019 after the successful completion of the application form process. Candidates can download their call letter for the online exam which will be held as per schedule mentioned above. Test. Intimations for downloading hall ticket will also be sent through e-mail/SMS. Once the candidate clicks the relevant link, he/ she can access the window for hall ticket download. The candidate is required to use i) registration number/ roll no, ii) password/ date of birth for downloading the hall ticket. The candidate needs to affix recent recognizable photograph on the hall ticket, preferably the same provided during registration and appear at the examination center with i) hall ticket ii) photo identity proof as stipulated below and also specified in the hall ticket and photo identity proof as brought in original. The hall ticket with the original photo posted on it having the signature of the candidate and the invigilator will be required at the time of admission. Candidates are advised to preserve it carefully. The government of Maharashtra, State Common Entrance Test Cell, will be announced the Result / Merit list of B.P.Ed & M.P.Ed CET 2019 Exam held on as per schedule has given above. Candidates can check their result/merit list form the official website by entering their Roll No. or Registration. The questions will be objective Multiple Choice Questions with Four options. There is no Negative marking. The time allotted is One Hour (Sixty Minutes). The medium of Questions will be English and Marathi. Click here to check the syllabus and Exam Pattern of MAH M.P.Ed and B.P.Ed CET. MAH B.P.Ed/M.P.Ed CET-2019 will be conducted in the selected cities in Maharashtra. The cities in which MAH B.P.Ed/M.P.Ed CET-2019 will be conducted are designated as “Centers” for the CET. M.P.Ed Centres – Amravati ,Nagpur ,Pune, Mumbai ,Aurangabad, Jalgaon and Solapur /Barshi. B.P.Ed. Centres – Amravati ,Nagpur ,Pune, Mumbai ,Aurangabad ,Solapur and Jalgaon. Each Centre may have many “Venues” depending upon the number of candidates appearing at that Centre. A candidate appearing for CET shall give his/her preference for the Centre, however, the Competent Authority reserves the right to allocate the entre and venue. 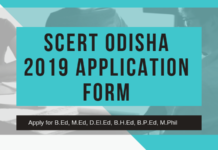 All Candidates who have successfully registered for MAH-M.P.Ed CET 2019 and made the successful online payment is directed to log in by clicking the M.P.Ed- CET Application Form Link (M.P.Ed-CET Application 2019. )available on www.dhepune.gov.inand www.mahacet.org and sign in by using User ID and Password and click on Application Print and take a print out of the Application Form and keep with them. This link will be deactivated thereafter. No request for this will be entertained afterward. The link for downloading the Hall Tickets is available on www.dhepune.gov.inand www.mahacet.org. Candidates are advised to download the Hall Ticket of CET and Field Test by clicking on the link. The candidates are advised to take print of Both the Hall Tickets. The Candidates are advised to read the instructions on the Hall Ticket carefully and follow them in their own interest. Both the Hall Tickets i.e. CET Hall Ticket & Field Test Hall Ticket will contain Login ID/Roll No of the Candidate, Reporting Time and Gate Closure Time. Candidates are advised to affix the latest photo on both the Hall Tickets. Candidates are advised to carry anyone valid original identity proof mentioned in the Information Brochure and Hall Ticket. Colour copy/soft copy of the photo identity card will not be accepted. If there is a change in Name, Candidate is advised to bring Government Gazette, Marriage Registration or Original Affidavit to that effect. Candidates are advised to carry CET Hall Ticket at Field Test Center along with the Field Test Hall Ticket. Candidate will not be allowed for Field Test without CET Hall Ticket duly signed by candidate itself and invigilator. Candidates are advised to report to the CET online Examination CENTER and Field Test Center much before the reporting time mentioned on Hall Ticket. Candidates reporting to CET online Examination Center/Field Test Center after the reporting time will not be allowed to appear for the examination. Such candidates will not be adjusted in the next session. Candidates are directed to note this fact and reach the center much before the reporting time. Candidates should carry and preserve both the Hall Tickets till the Admission Process is over. For more detail of DHE Pune BPEd / MPEd CET 2019 candidates refer to the DHE Pune BPEd / MPEd CET Information brochure attached below. Candidates can download the same from the direct link provided below.